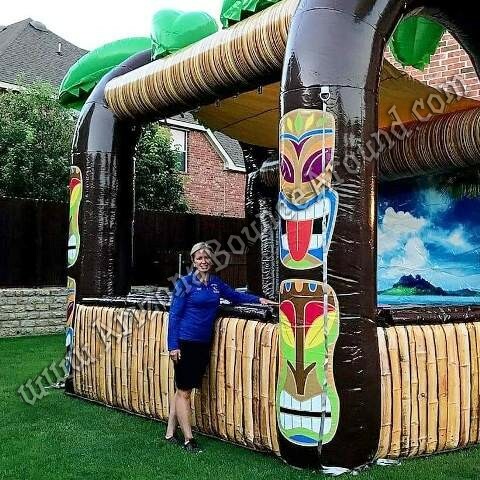 Our Inflatable Tiki Bar will make your Luau or Hawaiian themed party look amazing and it can be used indoors or out. It has a firm padded bar top covered in vinyl that's easy to clean and holds allot of drinks. This Tiki Bar is really big so you will have plenty of room for tables, ice chests and or course the drinks, napkins and straws. 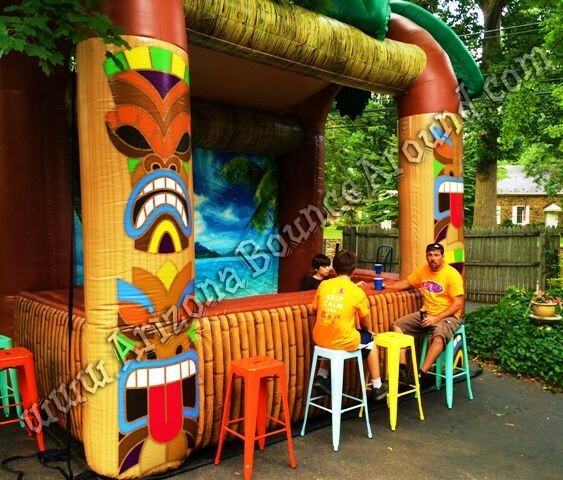 This portable Tiki Bar can be setup inside the ball room or by the pool and will look great at night by adding lights inside or out. 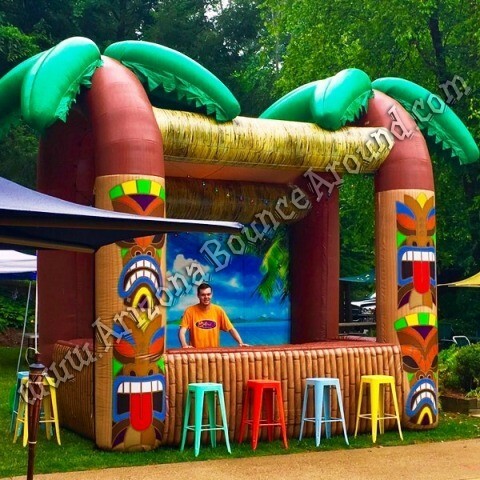 We have a big selection of accessories like cocktail tables, table cloths and fake tiki flames to name a few so let our party planners help you put everything together for a Luau party to remember. 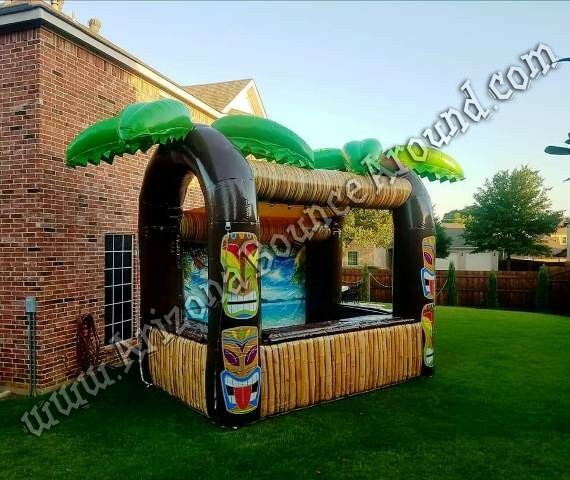 We also carry a full line of patio furniture rentals, sound systems, dance floors and Tiki themed water slides for summer or winter events.